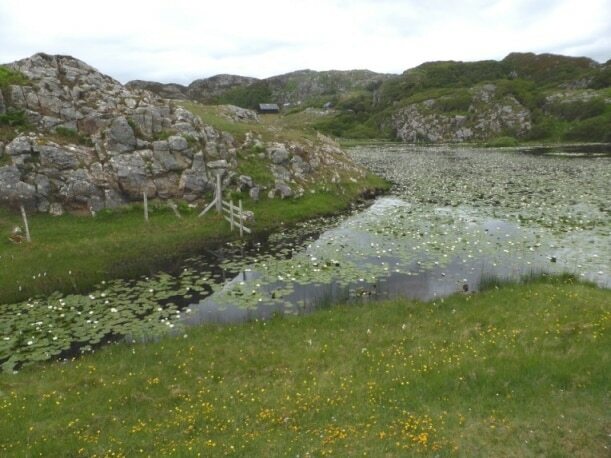 One of the hidden gems of Assynt is a shallow lochan tucked away in a corner north-east of the well-known beach at Achmelvich (NC0625). It is covered in white water lilies and exits to the sea by a shallow, well-vegetated burn which then cuts its way down the cliffs. On the afternoon of 13th June 2016, we were making a preparatory visit to the area for an Assynt Field Club meeting six days later. We had paused by the burn to admire the water-lilies when we noticed an insect that had crawled out onto a leaf. It was rhomboidal in shape, about 20mm long, with large front legs and what looked like a sting at the rear end (actually a breathing tube). 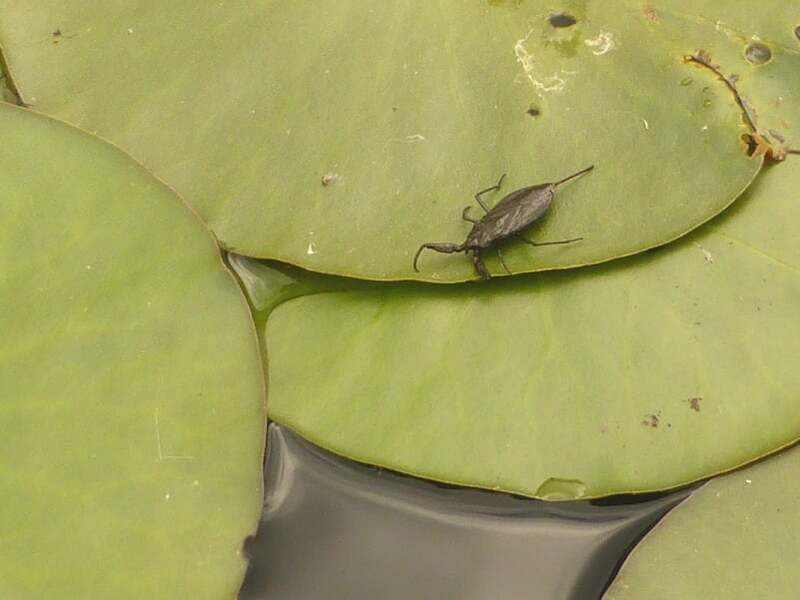 Although neither of us had seen one for many years, a photograph enabled us to confirm it as a water scorpion Nepa cinerea, a large water bug that typically occurs in ‘weedy shallows of slow and still water’, according to Huxley (2003). The maps in that work show no records from the north-west Highlands, although it has been recorded from many of the Scottish islands. NBN confirms that records from the north-west are few, although there is one (undated) from the river flowing into Loch Ailsh (NC3212), on the boundary between East Sutherland and East Ross. Huxley, T., 2003. Provisional atlas of the British aquatic bugs (Hemiptera, Heteroptera). Huntingdon: Biological Records Centre.